Catastrophic wartime casualties and postwar discomfort with the successes of women who had served in combat roles combined to shatter prewar ideals about what service meant for Soviet masculine identity. The soldier had to be re-imagined and resold to a public that had just emerged from the Second World War, and a younger generation suspicious of state control. In doing so, Soviet military culture wrote women out and attempted to re-establish soldiering as the premier form of masculinity in society. 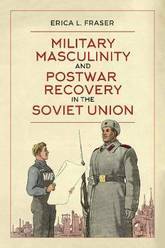 Military Masculinity and Postwar Recovery in the Soviet Union combines textual and visual analysis, as well as archival research to highlight the multiple narratives that contributed to rebuilding military identities. 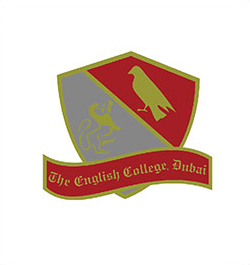 Each chapter visits a particular site of this reconstruction, including debates about conscription and evasion, appropriate role models for cadets, misogynist military imagery in cartoons, the fraught militarized workplaces of nuclear physicists, and the first cohort of cosmonauts, who represented the completion of the project to rebuild militarized masculinity. 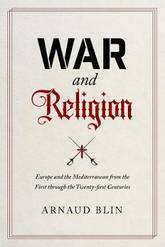 Throughout the `long 19th century', the Ottoman and Russian empires shared a goal of destroying one another. Yet, they also shared a similar vision for imperial state renewal, with the goal of avoiding revolution, decline and isolation within Europe. Adrian Brisku explores how this path of renewal and reform manifested itself: forging new laws and institutions, opening up the economy to the outside world, and entering the European political community of imperial states. 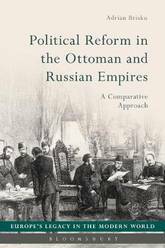 Political Reform in the Ottoman and Russian Empires tackles the dilemma faced by both empires, namely how to bring about meaningful change without undermining the legal, political and economic status quo. 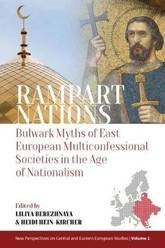 The book offers a unique comparison of Ottoman and Russian politics of reform and their connection to the wider European politico-economic space. 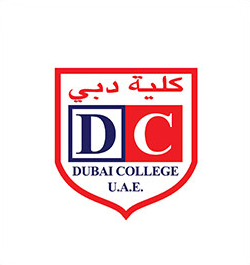 During a television broadcast in 1959, US President Dwight D. Eisenhower remarked that people in the long run are going to do more to promote peace than our governments. Indeed, I think that people want peace so much that one of these days our governments had better get out of the way and let them have it. 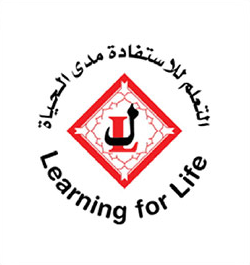 At that very moment international peace organizations were bypassing national governments to create alternative institutions for the promotion of world peace and mounting the first serious challenge to the state-centered conduct of international relations. This study explores the emerging politics of peace, both as an ideal and as a pragmatic aspect of international relations, during the early cold war. It traces the myriad ways in which a broad spectrum of people involved in and affected by the cold war used, altered, and fought over a seemingly universal concept. These dynamic interactions involved three sets of global actors: cold war states, peace advocacy groups, and anti-colonial liberationists. These transnational networks challenged and eventually undermined the cold war order. They did so not just with reference to the United States, the Soviet Union, and Western Europe, but also by addressing the violence of national liberation movements in the Third World. As Petra Goedde shows in this work, deterritorializing the cold war reveals the fractures that emerged within each cold war camp, as activists both challenged their own governments over the right path toward global peace and challenged each other over the best strategy to achieve it. 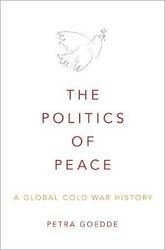 The Politics of Peace demonstrates that the scientists, journalists, publishers, feminists, and religious leaders who drove the international discourse on peace after World War II laid the groundwork for the eventual political transformation of the Cold War. 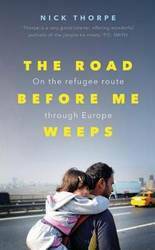 A powerful and revealing firsthand account of the migrant and refugee experience on the overland route across Europe War and chaos in Syria and Iraq, violence in Afghanistan, and hopelessness in countries bordering war zones have spurred several million refugees and migrants to set out for Europe. The West Balkans, from Turkey through Greece, Macedonia, Bulgaria, Serbia, and Hungary, became the main entry route. Based in Budapest for more than three decades, Nick Thorpe was perfectly placed to cover the birth of the route, its heyday, and the attempts of numerous states to close it. This is his intimate account of the daily lives of those stuck in razor-wire enclosures or on the move along forest tracks, railway lines, motorways-and of the smugglers, border police, and political leaders who help, exploit, or obstruct them. He challenges those who demonize or glorify migration, visits the arrivals in their new environment, and studies their impact on the countries which welcomed them with open arms or hesitation. Recent events around the globe have cast doubt on the assumption that, as a result of increasing cross-border migrations and global interdependencies, nation-states are becoming more inclusive, ethnic forms of identification more and more a thing of the past, and processes of supranational integration progressively more acceptable. Xenophobic forms of nationalism have once again been on the rise, as became strikingly visible through the results of the Brexit referendum, the election of Donald Trump, and the inclusion of the Lega Nord in the Italian government. It is timely, therefore, to inquire how multiethnic forms of nationalism can be re-promoted and for this purpose to re-investigate the concept of civic nationalism. This book assembles case studies that analyse the historical practices of civic or quasi-civic nationalisms from around the world. 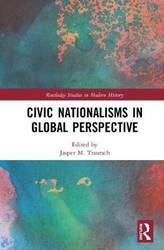 By allowing for global comparisons, the collection of articles seeks to shed new light on pressing questions faced by nation-states around the world today: Are truly civic nationalisms even possible? Which strategies have multiethnic nation-states pursued in the past to foster national sentiment? How can nation-states generate social solidarity without resorting to primordialism? Can the historical example of civic or quasi-civic nation-states offer useful lessons to contemporary nation-states for successfully integrating immigrants? Rabbi Marcus Jastrow (1829-1903) was one of the most important figures of nineteenth-century Judaism, but is often neglected. This volume presents his life and his views on the reform of Judaism in the context of the changes and developments of Judaism in his lifetime. It covers his early life and his career in Europe as a preacher and rabbi in Warsaw, Mannheim, and Worms, and then discusses his activities in the United States, where he served as rabbi of Congregation Rodeph Shalom in Philadelphia, as well as his work on his famous dictionary. 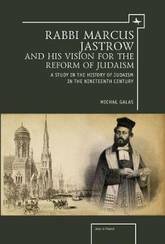 Jastrow was deeply involved in the important religious and scholarly initiatives of American Jewry: he took part in the emergence of Reform as well as Conservative Judaism, being involved in major controversies and polemics regarding them, and had a great impact on the creation of Jewish scholarship and Judaic studies in America. Far from the battlefront, hundreds of thousands of workers toiled in Bohemian factories over the course of World War I, and their lives were inescapably shaped by the conflict. In particular, they faced new and dramatic forms of material hardship that strained social ties and placed in sharp relief the most mundane aspects of daily life, such as when, what, and with whom to eat. 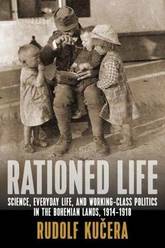 This study reconstructs the experience of the Bohemian working class during the Great War through explorations of four basic spheres-food, labor, gender, and protest-that comprise a fascinating case study in early twentieth-century social history. The familiar story of Soviet power in Cold War Eastern Europe focuses on political repression and military force. But in Empire of Friends, Rachel Applebaum shows how the Soviet Union simultaneously promoted a policy of transnational friendship with its Eastern Bloc satellites to create a cohesive socialist world. This friendship project resulted in a new type of imperial control based on cross-border contacts between ordinary citizens. In a new and fascinating story of cultural diplomacy, interpersonal relations, and the trade of consumer-goods, Applebaum tracks the rise and fall of the friendship project in Czechoslovakia, as the country evolved after World War II from the Soviet Union's most loyal satellite to its most rebellious. Throughout Eastern Europe, the friendship project shaped the most intimate aspects of people's lives, influencing everything from what they wore to where they traveled to whom they married. Applebaum argues that in Czechoslovakia, socialist friendship was surprisingly durable, capable of surviving the ravages of Stalinism and the Soviet invasion that crushed the 1968 Prague Spring. Eventually, the project became so successful that it undermined the very alliance it was designed to support: as Soviets and Czechoslovaks got to know one another, they discovered important cultural and political differences that contradicted propaganda about a cohesive socialist world. 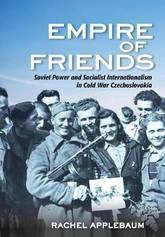 Empire of Friends reveals that the sphere of everyday life was central to the construction of the transnational socialist system in Eastern Europe-and, ultimately, its collapse. The Great War was a turning point of the twentieth century, giving birth to a new, modern, and industrial approach to warfare that changed the world forever. The remembrance, awareness, and knowledge of the conflict and, most importantly, of those who participated and were affected by it, altered from country to country, and in some cases has been almost entirely forgotten. New research strategies have emerged to help broaden our understanding of the First World War. Multidisciplinary approaches have been applied to material culture and conflict landscapes, from archive sources analysis and aerial photography to remote sensing, GIS and field research. 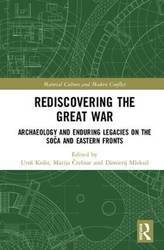 Working within the context of a material and archival understanding of war, this book combines papers from different study fields that present interdisciplinary and multidisciplinary approaches towards researching the First World War and its legacies, with particular concentration on the central and eastern European theatres of war. During Europe's 2015 refugee crisis, more than a hundred thousand asylum seekers from the western Balkans sought refuge in Germany. This was nothing new, however; immigrants from the Balkans have streamed into West Germany in massive numbers throughout the long postwar era. 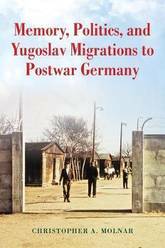 Memory, Politics, and Yugoslav Migrations to Postwar Germany tells the story of how Germans received the many thousands of Yugoslavs who migrated to Germany as political emigres, labor migrants, asylum seekers, and war refugees from 1945 to the mid-1990s. While Yugoslavs made up the second largest immigrant group in the country, their impact has received little critical attention until now. With a particular focus on German policies and attitudes toward immigrants, Christopher Molnar argues that considerations of race played only a marginal role in German attitudes and policies towards Yugoslavs. 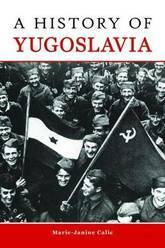 Rather, the history of Yugoslavs in postwar Germany was most profoundly shaped by the memory of World War II and the shifting Cold War context. Molnar shows how immigration was a key way in which Germany negotiated the meaning and legacy of the war. In June 2009, Richard Goldstone was a global hero, honored by the MacArthur Foundation for its prize in international justice. 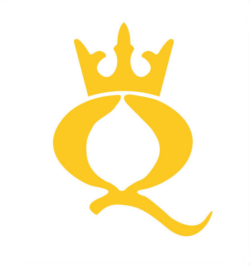 Four months later, he was called a quisling and compared to some of the worst traitors in human history. Why? Because this champion of human rights and international law chose to apply his commitments to fairness and truth to his own community. 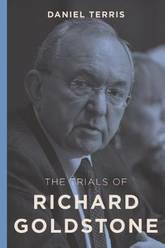 The Trials of Richard Goldstone tells the story of this extraordinary individual and the price he paid for his convictions. It describes how Goldstone, working as a judge in apartheid South Africa, helped to undermine this unjust system and later, at Nelson Mandela's request, led a commission that investigated cases of racial violence and intimidation. It also considers the international renown he received as the chief United Nations prosecutor for war crimes committed in Rwanda and the former Yugoslavia, the first tribunals to try political and military leaders on charges of genocide. Finally, it explores how Goldstone became a controversial figure in the wake of the Jewish jurist's powerful, but flawed, investigation of Israel for alleged war crimes in Gaza. Richard Goldstone's dramatic life story reveals that even in a world rife with prejudice, nationalism, and contempt for human rights, one courageous man can advance the cause of justice. How amateur programmers in 1980s Czechoslovakia discovered games as a medium, using them not only for entertainment but also as a means of self-expression. Aside from the exceptional history of Tetris, very little is known about gaming culture behind the Iron Curtain. But despite the scarcity of home computers and the absence of hardware and software markets, Czechoslovakia hosted a remarkably active DIY microcomputer scene in the 1980s, producing more than two hundred games that were by turns creative, inventive, and politically subversive. 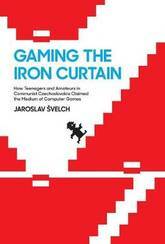 In Gaming the Iron Curtain, Jaroslav Svelch offers the first social history of gaming and game design in 1980s Czechoslovakia, and the first book-length treatment of computer gaming in any country of the Soviet bloc. Svelch describes how amateur programmers in 1980s Czechoslovakia discovered games as a medium, using them not only for entertainment but also as a means of self-expression. Sheltered in state-supported computer clubs, local programmers fashioned games into a medium of expression that, unlike television or the press, was neither regulated nor censored. In the final years of Communist rule, Czechoslovak programmers were among the first in the world to make activist games about current political events, anticipating trends observed decades later in independent or experimental titles. Drawing from extensive interviews as well as political, economic, and social history, Gaming the Iron Curtain tells a compelling tale of gaming the system, introducing us to individuals who used their ingenuity to be active, be creative, and be heard. 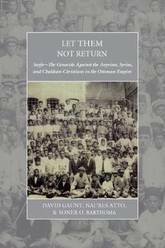 The mass killing of Ottoman Armenians is today widely recognized, both within and outside scholarly circles, as an act of genocide. What is less well known, however, is that it took place within a broader context of Ottoman violence against minority groups during and after the First World War. Among those populations decimated were the indigenous Christian Assyrians (also known as Syriacs or Chaldeans) who lived in the borderlands of present-day Turkey, Iran, and Iraq. This volume is the first scholarly edited collection focused on the Assyrian genocide, or Sayfo (literally, sword in Aramaic), presenting historical, psychological, anthropological, and political perspectives that shed much-needed light on a neglected historical atrocity. Jack J. Kanski brings us a concise, illustrated book covering the history of Russia and Eastern Europe, presenting the histories of ten countries. 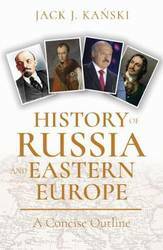 The book begins with the history of Russia from the ancient Kievan State to the present Russian Federation under Vladimir Putin. 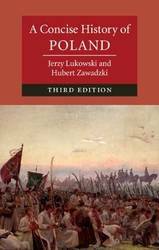 Also described are nine East European Countries, with the exception of Poland, which Kanski has explored in a previous book, History of Poland. 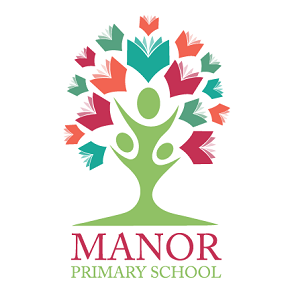 In order to make the reading matter user-friendly important historical personalities and events have been lavishly illustrated. Using a didactic, bullet-point format and accompanied by many colour illustrations, including paintings and maps, Kanski's A Concise Outline series enables readers to quickly and easily absorb key information about some of the world's most famous historical individuals and events. The books are not designed for historians, but rather will appeal to the general reader searching for concise and informative history books. 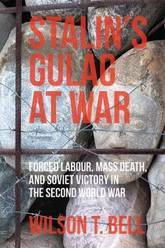 Stalin's Gulag at War places the Gulag within the story of the regional wartime mobilization of Western Siberia during the Second World War. Far from Moscow, Western Siberia was a key area for evacuated factories and for production in support of the war effort. Wilson T. Bell explores a diverse array of issues, including mass death, informal practices such as black markets, and the responses of prisoners and personnel to the war. The region's camps were never prioritized, and faced a constant struggle to mobilize for the war. Prisoners in these camps, however, engaged in such activities as sewing Red Army uniforms, manufacturing artillery shells, and constructing and working in major defense factories. The myriad responses of prisoners and personnel to the war reveal the Gulag as a complex system, but one that was closely tied to the local, regional, and national war effort, to the point where prisoners and non-prisoners frequently interacted. At non-priority camps, moreover, the area's many forced labour camps and colonies saw catastrophic death rates, often far exceeding official Gulag averages. Ultimately, prisoners played a tangible role in Soviet victory, but the cost was incredibly high, both in terms of the health and lives of the prisoners themselves, and in terms of Stalin's commitment to total, often violent, mobilization to achieve the goals of the Soviet state. 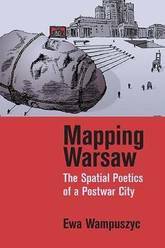 This book examines the role of photography as a powerful language of expressing collective identities in Eastern Europe during the period of dramatic socio-political transformation associated with the slow rise of national and ethnic consciousness, the dawn of empire and the outbreak of the two World Wars. From the 1867 All-Russian Ethnographic Exhibition to the war-time Nazi scientific surveys, this innovative account looks closely at how photographic practices and records were applied, borrowed, appropriated, transmitted to exert or subvert power, and used as a tool in negotiating collective identities. Discussing a wide range of little-known archives, libraries of scientific institutions, learned societies, and professional and amateur photographers, it focuses on those ambitious photographic projects which not only shaped the various national, ethnic or imperial identities but also went to the heart of the idea of Eastern Europe. 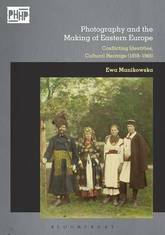 By juxtaposing photography with other visual and non-visual heritage discourses and practices, this book offers both a new perspective in the field of East European studies and a novel approach to the history of photography. 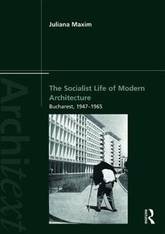 The Socialist Life of Modern Architecture is the first systematic architectural history of Romania under socialism written in English. It examines the mechanisms through which modern architecture was invested with political meaning and, in reverse, how specific architectural solutions came to define the socialist experience. Each of the book's three parts traces the historical development of one key aspect of Romania's architectural culture between the years 1949-1964: the planning and construction of housing districts in Bucharest; the role of typification of design and standardization of construction in a project of cultural transformation; the production and management of a folk architectural tradition. Going beyond buildings and architects to consider the use of photography, painting, and novels, as well as narrations of history and the formation of an ethnographic architectural heritage, the author explores how buildings came to participate in the cultural imagination of socialism-and became, in fact, a privileged medium of socialism. Part of the growing interest in the significance of Soviet Bloc architecture, this is an important contribution to the fields of architectural history, cultural history, and visual culture. 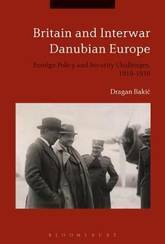 Danubian Europe presented constant and serious security risks for European peace and stability and, for that reason, contrary to conventional wisdom, it commanded the attention of British diplomacy with a view to appeasing local conflicts. Britain and Interwar Danubian Europe examines the manner in which the Foreign Office perceived and treated the antagonism between the Little Entente, comprised of Czechoslovakia, Yugoslavia and Romania, and Hungary, on the one hand, and revisionist Bulgaria and her neighbours in the Balkans, on the other, and the impact that these local conflicts had in connection with Franco-Italian rivalry in Central/South-Eastern Europe. With Hitler's accession to power, Danubian Europe was viewed in Whitehall in relation to its place in the prospective policy for preserving Austrian independence and containing German aggression. 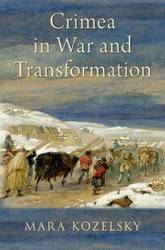 Dragan Bakic argues that the British approach to security problems in Danubian Europe had certain permanent features which stemmed from the general British outlook on the new successor states -the members of the Little Entente- founded on the ruins of the Habsburg monarchy. 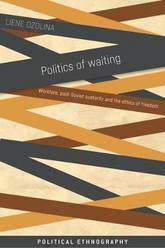 This book shows that it was the lack of confidence in their stability and permanence, as well as the misperceptions about the motives and intentions of the policies pursued by other Powers towards Central/South-Eastern Europe, which accounted for the apparent sluggishness and ineffectiveness of the Foreign Office's dealings with security challenges. Based on extensive, original archival research, this is a fascinating volume for any historian keen to know more about the 20th-century history of East-Central Europe or British foreign policy in the interwar years. The bitter separation of Ukraine's Orthodox churches is a microcosm of its societal strife. From 1917 onward, church leaders failed to agree on the church's mission in the twentieth century. The core issues of dispute were establishing independence from the Russian church and adopting Ukrainian as the language of worship. Decades of polemical exchanges and public statements by leaders of the separated churches contributed to the formation of their distinct identities and sharpened the friction amongst their respective supporters. 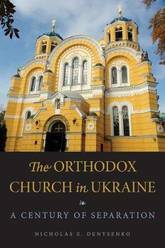 In The Orthodox Church in Ukraine, Nicholas Denysenko provides a balanced and comprehensive analysis of this history from the early twentieth century to the present. Based on extensive archival research, Denysenko's study examines the dynamics of church and state that complicate attempts to restore an authentic Ukrainian religious identity in the contemporary Orthodox churches. An enhanced understanding of these separate identities and how they were forged could prove to be an important tool for resolving contemporary religious differences and revising ecclesial policies. This important study will be of interest to historians of the church, specialists of former Soviet countries, and general readers interested in the history of the Orthodox Church. 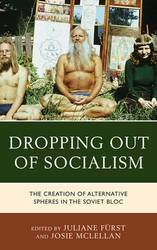 The essays in this collection make up the first study of dropping out of late state socialism in Eastern Europe and the Soviet Union. From Leningrad intellectuals and Berlin squatters to Bosnian Muslim madrassa students and Romanian yogis, groups and individuals across the Eastern Bloc rejected mainstream socialist culture. In the process, multiple drop-out cultures were created, with their own spaces, music, values, style, slang, ideology and networks. Under socialism, this phenomenon was little-known outside the socialist sphere. 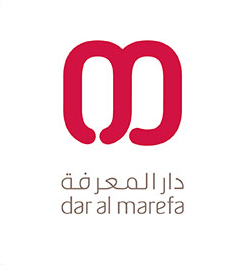 Only very recently has it been possible to reconstruct it through archival work, oral histories and memoirs. Such a diverse set of subcultures demands a multi-disciplinary approach: the essays in this volume are written by historians, anthropologists and scholars of literature, cultural and gender studies. The history of these movements not only shows us a side of state socialist life that was barely known in the west. It also sheds new light on the demise and eventual collapse of late socialism, and raises important questions about the similarities and differences between Eastern and Western subcultures. Placing Stalinism in its international context, David L. Hoffmann presents a new interpretation of Soviet state intervention and violence. Many 'Stalinist' practices - the state-run economy, surveillance, propaganda campaigns, and the use of concentration camps - did not originate with Stalin or even in Russia, but were instead tools of governance that became widespread throughout Europe during the First World War. The Soviet system was formed at this moment of total war, and wartime practices of mobilization and state violence became building blocks of the new political order. Communist Party leaders in turn used these practices ruthlessly to pursue their ideological agenda of economic and social transformation. 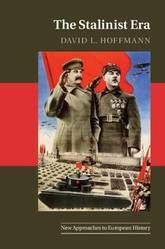 Synthesizing new research on Stalinist collectivization, industrialization, cultural affairs, gender roles, nationality policies, the Second World War, and the Cold War, Hoffmann provides a succinct account of this pivotal period in world history.